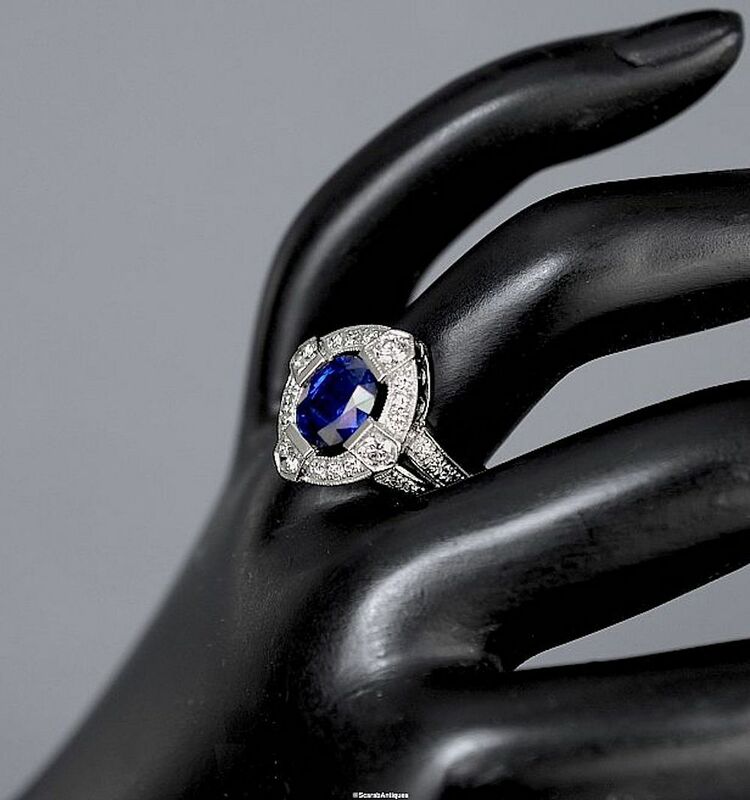 This lovely sapphire & diamond ring is in 18ct white gold. 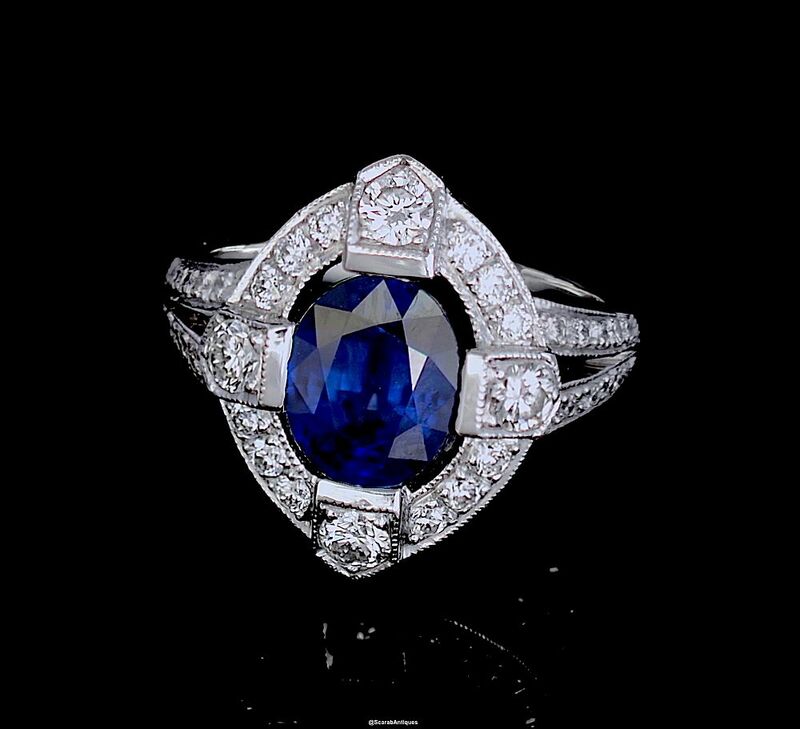 In the centre of the ring is an oval sapphire set in 4 bar claws within a diamond set oval 18ct white gold surround. The split shoulders are also diamond set. The 18ct white gold shank has been hallmarked by the London Assay Office for 18ct gold and bears our sponsors' mark "A&SP" for Alan & Sue Poultney. There is no date mark as we had it hallmarked in June 2015 for the purposes of metal content identification. The sapphire bears a certificate from the Gem & Pearl Laboratory dated 12 June 2015 confirming that it is a natural sapphire with evidence of heat treatment.